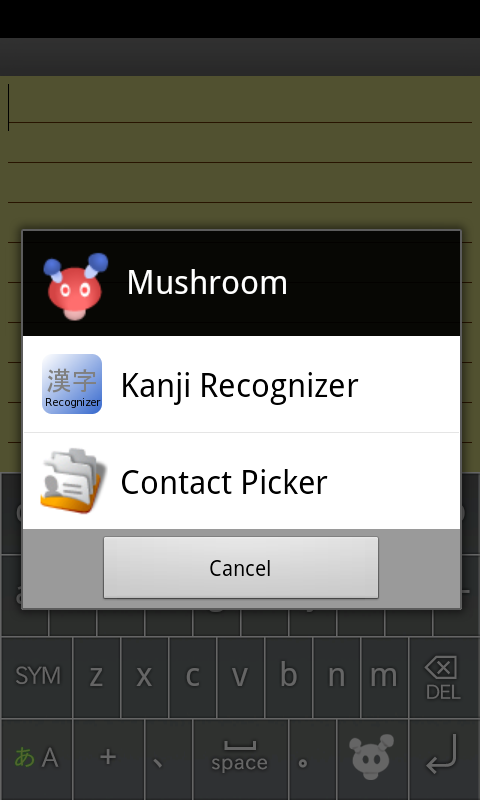 The newest version is available on the Android Market now. This is the first release to offer premium features. 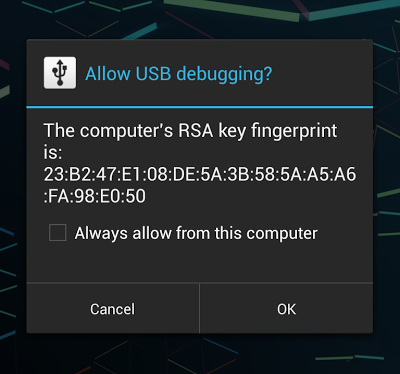 To unlock those, you can upgrade from within the application using Google Checkout. 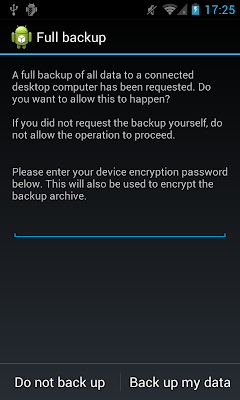 There is no need to download a separate 'pro' application. 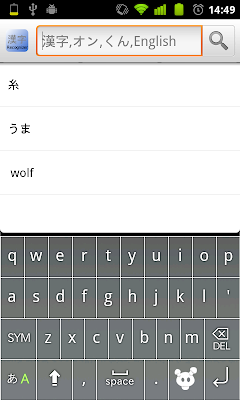 Favorites and history: kanji you view are automatically saved to search history. You can mark any kanji as favorite to review later with a single tap. Favorites export to Excel (CSV): export all fields displayed in the details screen as CSV columns. 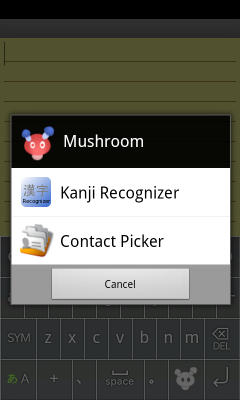 You can edit or print the exported file on your PC, or import it in other programs such as Anki. 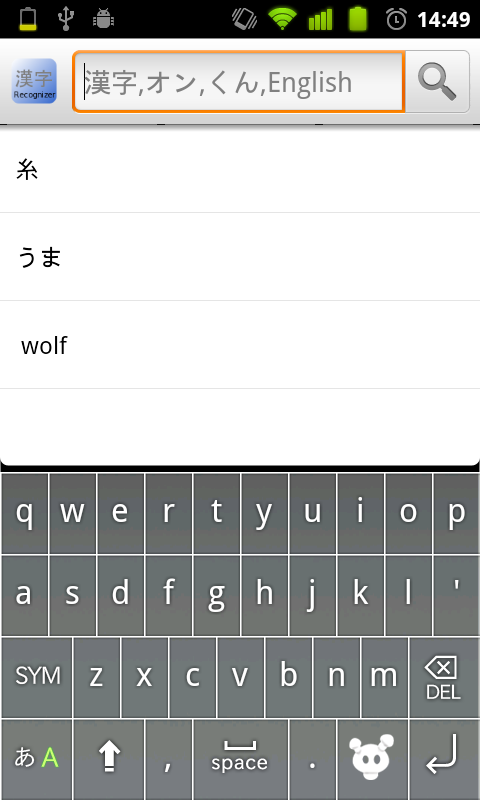 Simeji integration (mushroom): lets you draw a kanji and insert it into the text you are typing using Simeji, OpenWnn/Flick, ATOK or OpenWnn Plus without leaving the current application (Simeji/OpenWnn/ATOK IME installiont required). 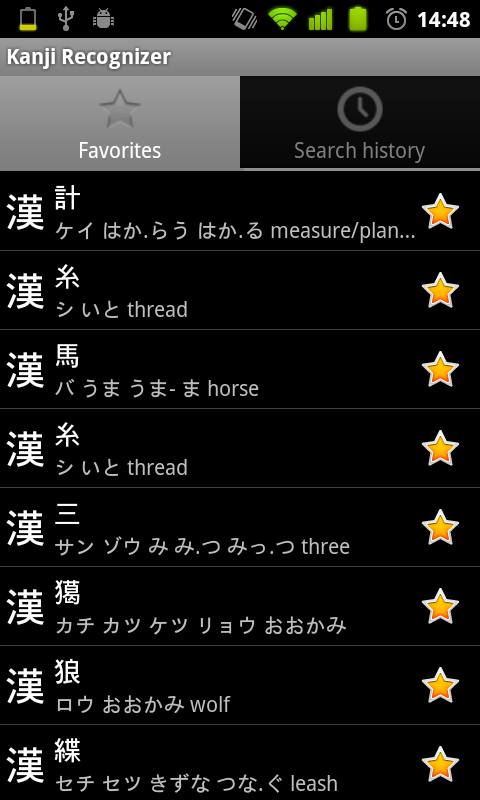 Search by character, reading or meaning: quickly lookup kanji by reading or English meaning. 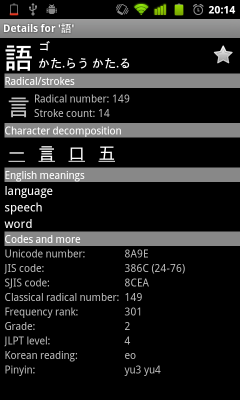 Display Shift-JIS code in kanji detail screen. 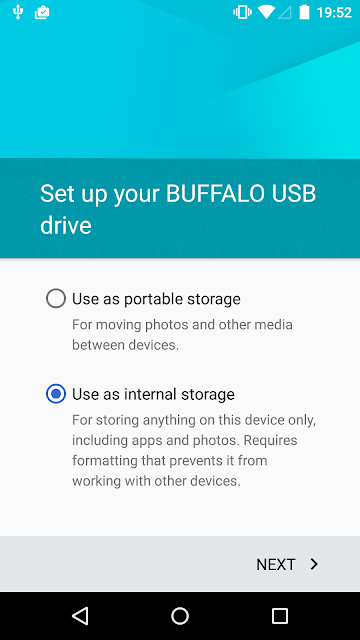 Here are some screenshots highlighting the new features.